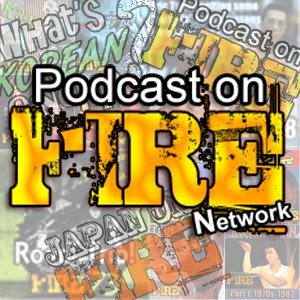 Sleazy K's Video - This will get sticky... | Latest trio of Podcast On Fire Network shows! The biggest anime of all time (and it’s only a year old) gets reviewed, the hosts begin bashing another Hong Kong actor (but the tally in the end might mean they’ll like him) and Chow Yun-fat goes head to head with Marky Mark. Click images or links below to access the shows.